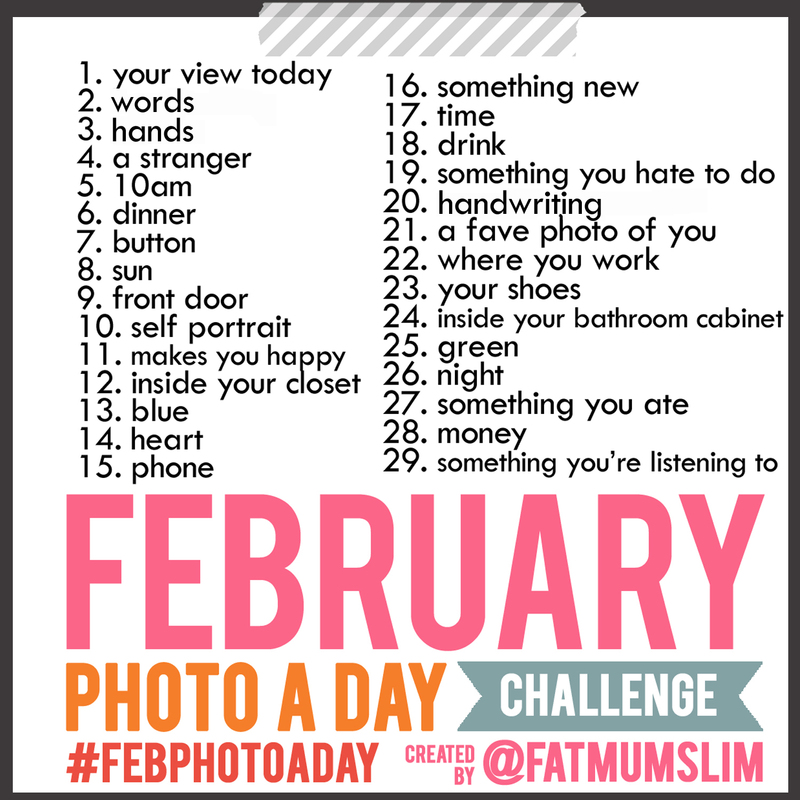 Inspired by Fat Mum Slim, an Australian blogging mum, I’ve taken up her February photography challenge. Sparing you a photo post each day, I opted to create a page (see above) 29 Days, 29 Photos where I’ll update pics daily. You can leave your comments there, which are always appreciated, and I hope you enjoy my interpretation of each days theme. If you’re interested in following along, check back and see what I’ve posted and if you too are inspired by the challenge, grab your camera and join in! You can also post and follow along on twitter using hashtag #Febphotoaday. Thank you! Hope you’ll follow along. Thanks for visiting the blog and commenting. I really like your agenda!!! And, yes. That’s intentionally punny.